Loss and grief is a normal part of life that everyone experiences at some point. 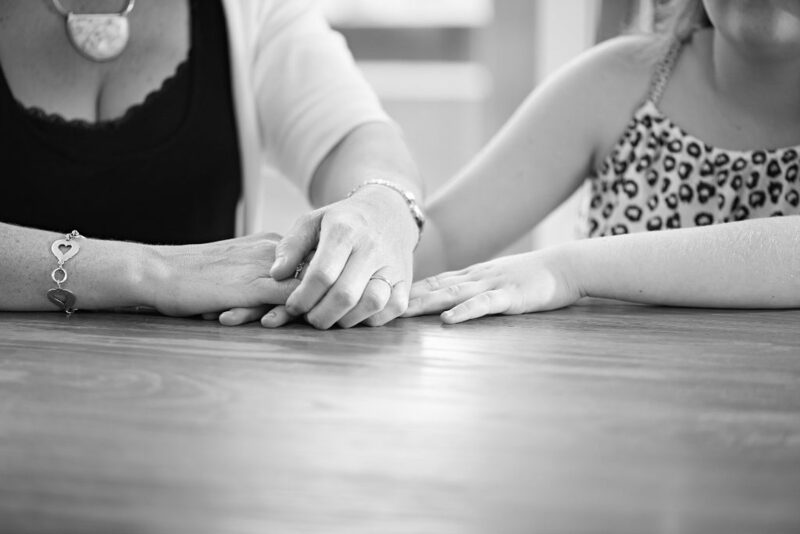 It can be very painful losing someone you care about, and many people find coping with bereavement difficult. How we experience our loss depends on whom we have lost, our upbringing, our personality, our spiritual beliefs and how we are supported through our loss. You may feel with your loss that the pain and sadness will never end. Certain dates, anniversaries, holidays or other reminders can trigger feelings and emotions related to the loss. You may become irritable, tired, angry, forgetful, and feel guilty or even relief. These reactions are quite normal as it takes time to adjust and work through your emotions and learn to live your life without that person. Losing someone close can make you feel isolated and alone. Friends and family might not want to mention their name in case they upset you. Don’t be worried or afraid to talk about the person who has died; this can help with coping with bereavement. Acknowledging your feelings during these times by talking to people close to you, or to professional people, may help you with coping with bereavement. You need time and space to talk about your feelings for the person who has died. Someone grieving the same loss can grieve differently than you but that is ok. Grief is complicated and so are people, which is why the type of bereavement support that helps you may be different for someone experiencing the loss of the same person. Talking to others who have gone through similar experiences can be very beneficial and may fill a void of loneliness. Douch Family Funeral Directors currently run a local bereavement support group in Ferndown, Dorset, with other areas soon to follow. This grief support group is run by a local bereavement counsellor, so both professional and community support is available. Seeking a bereavement counsellor for grief support could give you the time and space you need to talk about the person who has died and how this loss may have affected your life generally, i.e. work, family, and fears for the future. Talking about your emotions and feelings can be very therapeutic. For bereavement counselling Dorset, we recommend Cindy Weller. Cindy is a qualified, accredited counsellor who runs our bereavement support group on the 1st Thursday of every month. Some people find comfort in talking to their religious leader or reaching out to their religious community for grief support. Keeping a diary or journal can be helpful in reflecting and processing emotions. There has been some research that suggests that writing about your feelings can improve your immune function. Before you start writing, it could be best to talk to a professional for bereavement help dealing with your feelings. This can be having an informal discussion with Cindy at our Douch Family bereavement support group. If you feel your health has suffered since the loss, we recommend speaking to your GP. They will be able to offer help and might suggest help that will work for you. The feelings associated with grief will eventually lessen but as we are all individual, there is no set time span for coping with bereavement. We all have different memories and feelings for the person who has died. Don’t be afraid to reach out for grief support. There are family, friends and professional people who will be willing to listen. To find out more about our bereavement support group and how we can help you, please contact your nearest Douch Family funeral directors branch or like our Facebook page to stay up to date with our bereavement care groups.